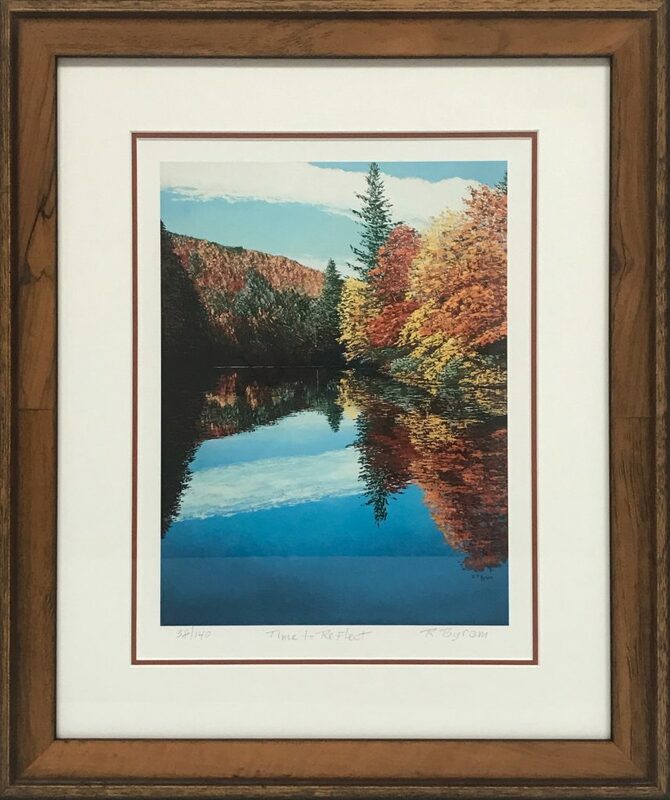 We love this beautiful signed limited edition giclee, featuring bright fall colors and a gorgeous view. The stark white linen mat with it’s pecan burl frame make this scene pop. Want exclusive offers and news about what's happening at the Frame and Art Shop?